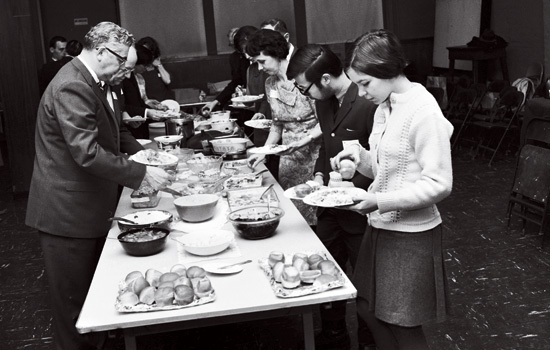 The RIT Women’s Club hosted a dinner for international students in January 1968. If you have additional information about this event, we would like to share it with other readers. Send comments to The University Magazine, University News Services, Rochester Institute of Technology, 132 Lomb Memorial Drive — Brown Hall, Rochester, NY 14623. E-mail can be sent to umagwww@rit.edu.